The Chatham Anglers (9-9-2) will look to rebound from consecutive losses against Orleans when they face the Harwich Mariners (11-10-1) on Saturday at Veterans Field. The matchup marks the third meeting between the sides this summer, with Chatham taking the previous two. In addition, the A’s will look to win their third-straight game after an off day, as Friday’s game against the Falmouth Commodores was postponed due to rain. Jack Conlon will make his third start of the season Saturday, the joint-highest tally on the Anglers. 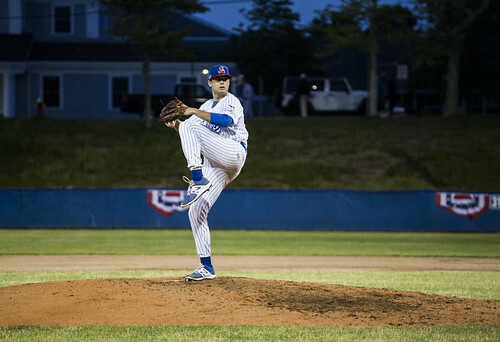 The Anglers have not scored a run since their 13-run outburst against Harwich on July 3, as they were dealt consecutive shutout losses by the Orleans Firebirds. “We're way too good to be shutout 18 innings in a row,” Chatham manager Tom Holliday said. After falling in their first three post-off day games of the season, the A’s have won two-straight, a streak they will look to build on Saturday. The Mariners have scored the second-fewest runs in the league (82) and tallied the fewest home runs (five) on the season. Their pitching staff, however, is their strong point. Harwich’s staff has a 2.90 ERA, the sole sub-3.00 clip in the league. The A’s have two wins in two games against Harwich this season. On June 30, Chatham beat the Mariners at Veterans Field, 5-1. Leadoff hitter Greg Jones (UNC Wilmington) and nine-hitter Branden Fryman (Samford) led the Anglers’ offense, tallying two hits each and scoring three runs. The game was knotted at one going into the bottom of the seventh, but Chatham’s offensive explosion provided the separation. A triple from Jones, double from John Rave (Illinois State) and home run from Blake Sabol (Southern California) powered a four-run inning and built a lead the A’s would never relinquish. On July 3, the Anglers achieved their highest run total of the season at Whitehouse Field in a 13-6 blowout of the Mariners. Harwich possessed a 5-2 lead through four innings before Chatham scored 10 runs over the next three frames, including six runs in the top of the sixth. Long balls from Michael Busch (North Carolina) and Tristin English (Georgia Tech) highlighted the six-run inning. Busch roped a two-run shot, his first hit of the summer, while English’s grand slam marked his fourth homer in six games. Jack Conlon (San Jacinto) will make his fourth appearance of the summer against Harwich on Saturday. The right-hander has logged 11 innings on the season, striking out eight and posting a 3.27 ERA. Conlon lasted five innings in his last start, a 5-2 win over Y-D on June 29, and surrendered two hits and one run. Zach King (Vanderbilt) is scheduled to relieve Conlon and make his third appearance of the season. King's last outing came against Harwich on June 30, when he threw three innings and allowed two hits and a run. The left-hander has a 7.20 ERA in five innings of work this summer.